While it has been said that neurosis is a cry of the soul wanting to be heard, there are various positive ways that our souls speak to us, if we take the time and the effort to pay attention. One way is intuitive insight. Perhaps another is reverie when we are relaxed and allow our minds to meander without control, being fed by stirrings deep within us. Another very important way is dreams. Freud called dreams the “royal road to the Unconscious” for a reason. These night time scenarios are the most direct and readily available means of receiving undiluted messages from the soul. It stands to reason then that anyone who is seriously interested in spirituality and the care of the soul would take dreams seriously, but sadly this is often not the case. There are plenty of people who try to follow a spiritual path and ignore their dreams altogether! Even many psychologists who are in the field of “the study of the soul” don’t take their own dreams seriously or use dreams as a therapeutic method. The most common reasons given are that dreams are hard to remember, or are weird and hard to figure out. An often not-stated reason is that dreams can be frightening and disturbing. Also, some religious people of certain persuasions feel dreams may be the work of the devil despite the fact that the Bible recounts numerous stories where people used dreams to listen to God. There is in Western society and in Christianity in particular, an abiding distrust of the Unconscious that has not encouraged us to explore our dreams—something not shared by our ancient ancestors and indigenous peoples who all took dreams seriously. We need to reclaim this respect if we are going to mature spiritually in a truly holistic fashion of mind, body, and spirit. Tell yourself you will remember your dreams. Write or record them in a dream journal. Review them on occasion. Reflect on them for several levels of meaning rather than seek a quick and superficial answer. Consider that every dream has a spiritual meaning. Consider everything in the dream as representing an energy within yourself. Make associations between things and people in the dream with those in your waking life at the moment. Doing these simple tasks of dreamwork on a regular basis will provide a profound portal to the soul, teaching much about the soul and what it has to say. You will come across an amazing, undiscovered country and you will have practiced a very effective spiritual method! Do you feel out of touch with yourself? Do you feel that your culture is shallow and vapid? You are not alone. In 20 Diagnostic Signs That You’re Suffering From “Soul Loss,” Lissa Rankin, M.D., states that this is a very common malady in today’s world. She says not only individuals suffer from this but so do cultures. In my opinion, religions, and in particular, churches can also suffer from it. Whenever we, whether individually or collectively, have lost sight of what animates us, what makes us come alive or what drives us, we suffer from a form of soul loss. 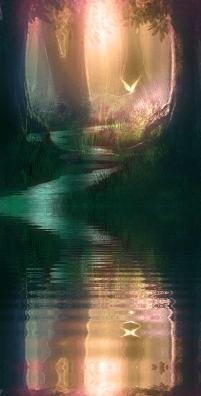 Dreams and holding on to a dream are some keys to recover the soul’s enlivening power in our waking life. Dreams come from the soul itself and speak for the soul and its needs. It is no wonder that so many individuals suffer soul loss when they don’t value their dreams and don’t make an effort to remember them or work with them. Institutions lose soul when they lose sight of the founder’s vision or dream for that organization. This is particularly true of religions and churches which become social clubs or babysitting stations for kids when the ties to a deep spiritual connection have been broken or not promoted among the followers. Individually, this means keeping a dream journal and doing dreamwork on an on-going and consistent basis. Collectively, this means studying and learning from the dreams and visions of the founders. Institutions can recapture their original dynamism by going back to the basics, to be once again inspired by the founders, learning what defined the organization and why it was started in the first place. 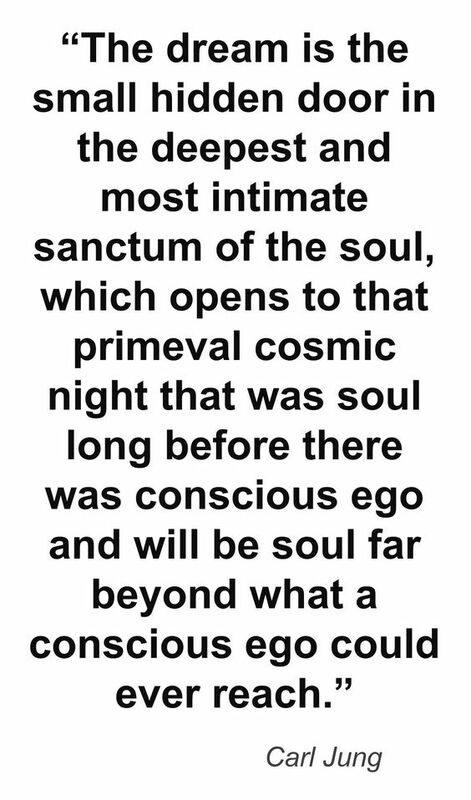 Dreams and visions are all about purposes of soul and how soul presents itself in the world. What is your true dream? In that you will find your true inspiration. 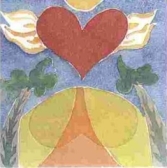 “If you wish to know someone’s heart, look into your own.” Heart Art by Henry Reed, Ph.D.
After doing the Inspired Heart Meditation and the short Memory Divination that followed this is what transpired for me in the Intuitive Heart Soul Reflection Experience which is explained in the previous post at http://wp.me/p45aiq-4J. I am in the dental chair in my dentist’s office. My dentist has just finished putting in two new inlays which has been part of a several-years-long effort to gradually replace my 45-year-old worn out gold and silver fillings with new fillings and inlays. It has been a long and drawn out, costly restorative work, but the end result is that all my teeth are now in excellent shape with fillings the exact color of my teeth, making my smile look beautiful and my dental health great. My dentist makes the comment, “Now that you have gotten through all this with good results and no major mishap, it is up to you to keep your teeth in good shape by cleaning them regularly.” I feel a sense of pride and accomplishment for having gone through this long and arduous process. Also, I do get complimented on how great my teeth look—a real blessing at age 66 which few people even today can have or afford! I also realize the importance of what the dentist says about it being up to me to keep my teeth in great shape. The simple but important practices of brushing and flossing are things I need to do every day. The memory reminded me of my long kundalini clearing process which began about seven years ago and was a real challenge to deal with at all levels, spiritual, psychological and physical, especially during the first several years. The last four years have been challenging at a values level: making choices that reflect the new “real me” despite the fact that I need to take bold risks, especially financial ones, to get where I want to go. Like my dental restoration process, it has been long and arduous but I am now starting to realize some of the kundalini lore benefits such as my good health getting even better while giving me a youthful appearance that belies my age. The major clearing away of the old has been done, as even my dreams have told me, but it is up to me to keep it all clean now: eat healthy food, think positive thoughts, make good choices, brush away any negativity, etc. Be grateful for the amazing blessing I have undergone. I should be more aware of the simple but important ways of keeping what the Buddhist call the “mirror” clean by brushing away negative thoughts. I need to keep my body healthy by avoiding as much as possible foods and substances that could be harmful or de-energizing. I need to make choices which reflect the integrity of who I am. Hidden Question: How can I enjoy my life more comfortably, with less effort and more confidence? My soul’s reflection on this question: By doing the simple daily “polishing of the mirror,” eating right and making what the Hawaiians’ call pono or right choices; I can enjoy life more because it will be easier to stay healthy and happy, without any kind of negativity dragging me down. Removing negativity at the get-go is a lot easier than dealing with it after it has grown from an idea or a bad choice to an embedded feeling or disease in the body. Feeling positive will also promote a greater sense of confidence in what I am doing and where I am going.